These muffins are pretty fantastic. I really loved the flavor of the batter - it's moist, tender, lightly sweet and lightly spiced and the tartness and brightness of the cranberries complement the flavor very well. However, I felt the white chocolate chips were unnecessary. The chips all settled at the bottom of the muffins, and I thought they were just "extra" without really adding anything to the muffin. The cranberries are the star of these simple and tasty muffins. I found they definitely needed to cool pretty completely before removing them from the muffin tin as they are fairly soft and the sides wanted to rip a little when still warm even after loosening with a butter knife. Preheat oven to 425F. 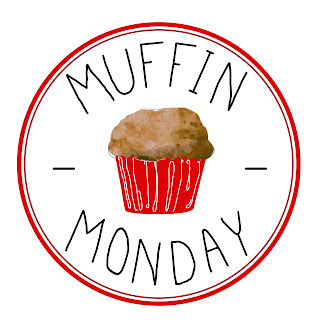 Generously spray 14 muffin tins with nonstick cooking spray or line with cupcake liners. To the bowl of a stand mixer fitted with the paddle attachment add the butter, sugars, and cream together on high speed until light and fluffy, about 2 to 3 minutes. Stop, scrape down the sides of the bowl, and add the eggs, sour cream, half and half, vanilla, and beat on medium high speed until combined, about 2 minutes. Stop, scrape down the sides of the bowl, and add the flour, baking soda, baking powder, cinnamon, salt, and blend on low speed just until combined (do not over mix). Add in the white chocolate chips and cranberries and fold in by hand with a spatula. Divide the batter between the prepared muffin tin openings. Bake at 425F for 5 minutes and then, without opening oven door, turn oven temp down to 350F and bake for another 18 to 20 minutes (total baking time is about 23 to 25 minutes), or until muffins are set and a toothpick inserted into the center comes out clean. Allow muffins to cool in pan on a wire rack for about 10 to 15 minutes, or until they've firmed up and are cool enough to handle. Remove from muffin tins and allow to finish cooling on wire rack. Store for up to 1 week in an airtight container. I'm not a huge fan of white chocolate so I'm with you on the all cranberry muffins, Rebekah. Those would be ideal! Hate when chips just settle to the bottom! Regardless, I am glad your muffins were still tasty. They do look quite moist. It was the first thought that I had when I saw them. I love baking with fresh cranberries Rebekah. I love that tart burst of flavor when you bite into them. I will take your advice and omit the chocolate. YUM! These sound delicious to me! I have scheduled for social media later today. Kelli! What a tasty way to use some of the fresh cranberries from the freezer. These look totally yummy, and I appreciate the advice on the chocolate. I've found if I toss frozen blueberries with a bit of the flour called for in the recipe, it keeps them from sinking, but with chocolate I tend to use the mini chips for best 'floating'. I've done similar muffins before and I can attest that white chocolate and cranberries were meant to be together!